Porter Cable is one of the renowned brands in producing and marketing woodworking tools. 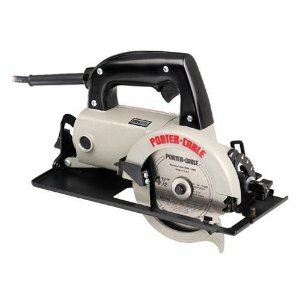 Providing quality goods and products that make the work of a professional craftsman easy, Porter Cable brings to you their line of Porter Cable circular saws. Here are some common saws you would come across while browsing or while looking for Porter Cable circular saws. This little power house is light in weight; handy and easily maneuverable saw. 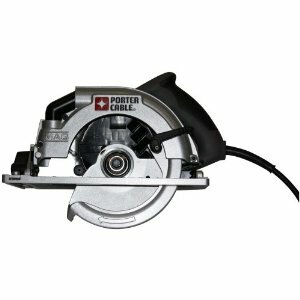 These Porter Cable circular saws deliver less torque, which is very helpful in situations, such as using it over ones head or in vertical direction, or for stock that are trim sized need to be cut. This feature also makes this saw safer than most other circular saws. 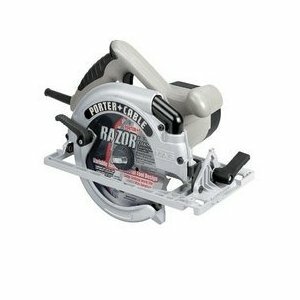 Users also say that the motor and blade feature of this saw are up to Porter Cable standards. The drawbacks are that the sole plate of the saw is flimsy and does not deliver precision. The maximum depth of cut that the blade renders is disconcerting for some users. A review indicates that the blade fell out while adjusting the depth. Pros for these saws are the exhaust nozzle, which blows the sawdust away from the face, rendering comfortable and user friendly work. The saw has the blade on the left side, making it easy to see the cut for right hand users. It trims and is tested on 2X lumber and has passed with flying colors, even at 45 degree angle. 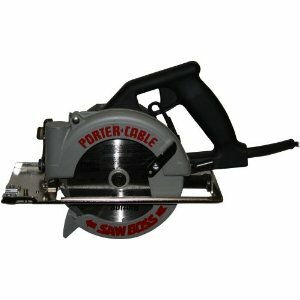 These Porter Cable saws are dependable, compact and are well balanced. It is light in weight as compared to many other 7 to1/4 inch circular saws in the market. The angle and depth for the blade adjustment are easy to use and changing the blade is done without hassles. Some cons though are that some users would like to have a top handle like some other circular saws have. Depth adjustment locking lever needs lot of force upward to unlock. Reviews also suggest that these saws do not run smoothly and the premium blade makers have not paid attention to the 6 inch size. On some jobs it's just more practical to use a small saw than a bigger one. These little Porter Cable saws pack the oomph with it 15 Amp motor. The blade being on the left is an asset and the blade works well, with negligible tear out on plywood. The saw also comes with a solid base which is stable when locked and has a strong bevel adjustment which makes it easy to cut straight with accuracy. These are light, powerful and have a solid feel. Some users however have complained about the weak keyless blade change rendering these Porter Cable saws useless, and the dust nozzle being small. The rip guide attachment in only good to around 8 inches. Furthermore, reviews indicate that the saw is noisy and is expensive as compared to some of its competitors. Porter Cable saws make the task that once took weeks or months reduced to hours and days, making them a great tool to own. Return From Porter Cable Circular Saws Page to Home - Finishcarpentryhelp.com.